C6 Envelopes are one of our most popular sized envelopes we stock. The size convention for a standard sized C6 Envelope in the UK is 114x162mm. Quality is everything to us. We believe the envelope is as important as the message it contains. Our most popular envelope is our White C6 Envelope. The quality is outstanding and for the prices you surely will not want to go anywhere else to buy your C6 envelopes again. Add a real feel of quality to a card with this high quality textured C6 Envelope. These textured C6 envelopes are all made in the UK with the highest quality 100gsm paper. Each textured C6 Envelope is gummed with a diamond flap. Our C6 Envelopes come in a wide range of colours, textures, weights (gsm) and finishes. Ideal Envelopes provides a secure online e-commerce shopping system with a rapid dispatch. 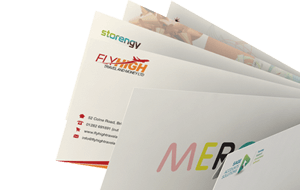 With our ever growing range of coloured, textured and plain C6 Envelopes, we are quickly becoming one of the market leaders. 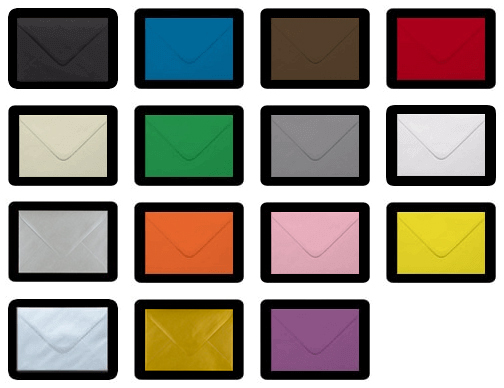 Our ever expanding range of C6 Coloured Envelopes is one of the most extensive ranges online. With colours ranging from pastel blues to dark blues to fuchsia pinks and scarlet reds. Each C6 Coloured Envelope is gummed with a diamond flap. These C6 Coloured envelopes are all made in the UK from the highest quality 100gsm paper. Add a real feel of quality to a card with this high quality C6 Coloured Envelope. Make sure you buy your White C6 Envelopes from where the trade buy theirs, Ideal Envelopes.